Watch the two videos below. Take notes on both. Then Try the worksheets the substitute will give you. YOU MUST BE SIGNED IN WITH YOUR SANDI ID NUMBER TO WATCH THESE!! Links if the videos do not work. 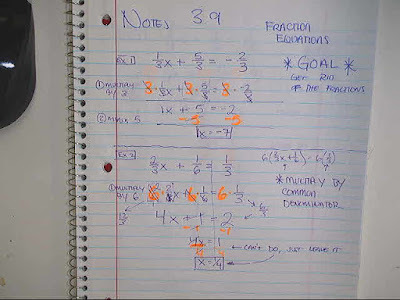 Periods 1,3,5: We learned about equations with fractions in them. There were six problems to do. Period 6: We learned about inequalities. Periods 1,3,5: We started graphing wumps. There is a sheet of points and one of graphs. We will finish this IN CLASS on Monday. Period 6: You came up with some crazy equations. Bring the craziest one back Monday, or I stamped you today for getting it done. Period 5: See yesterday for link to the reflections worksheet. 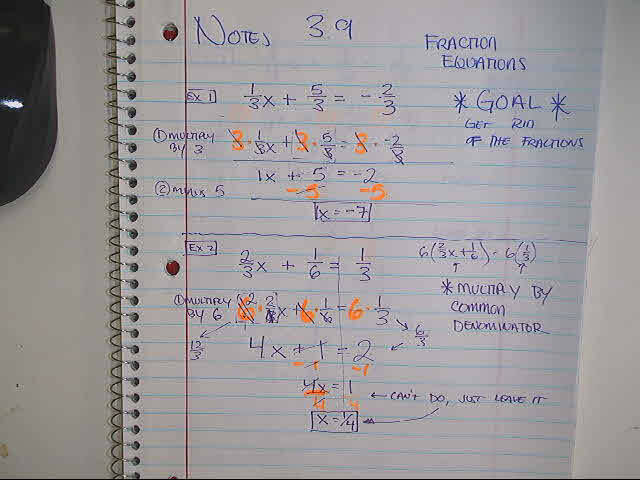 Period 6: Do 7 equations from page 41, and four from page 42. Can't post it because of copyright. If you need one, see me. Period 6: finish the 7 equations worksheet. If you need a copy, ask and I will post it. Period 1,3: Finish the rotations worksheet. We are keeping track of all homework assignments now in our planners. If you turn it in, make sure you get a stamp. Math 8 - Translation and Reflections worksheet. Homework will be kept track of in your planners now. Make sure you get a stamp for work when you turn it in. It is your receipt. No stamp means no credit. Periods 3,5: The GPA worksheet is due next Tuesday. Click HERE for a PDF of the file if you missed it. Homework for the first week is to turn in the Syllabus, tardy policy, and wabbit graph you were given on the first day. There are links on the right to the syllabus and tardy policy if you lost them. What happens when you reply to all. Proofs. Below are the problems from class. The first two can be done with five lines, the third one can be done with eight. The article is about her selling prowess, but the cookie she is holding was 3D printed in my class. 2 colors on the Delta style printer she and 2 other students made.